In a speech at the Millennium Development Goals 2013 Women’s Progress Awards, Constancia Mangue Nsue de Obiang, First Lady of the Republic of Equatorial Guinea, received the Millennium Development Goals 2013 Women’s Progress award at a gala hosted last night by Voices of African Mothers, Reed for Hope Foundation and Bethesda Counsel held at the United Nations. Mrs. Obiang was honored for her leadership in social development in the country and her contributions to improving the standard of living of Equatorial Guinea’s women and children. 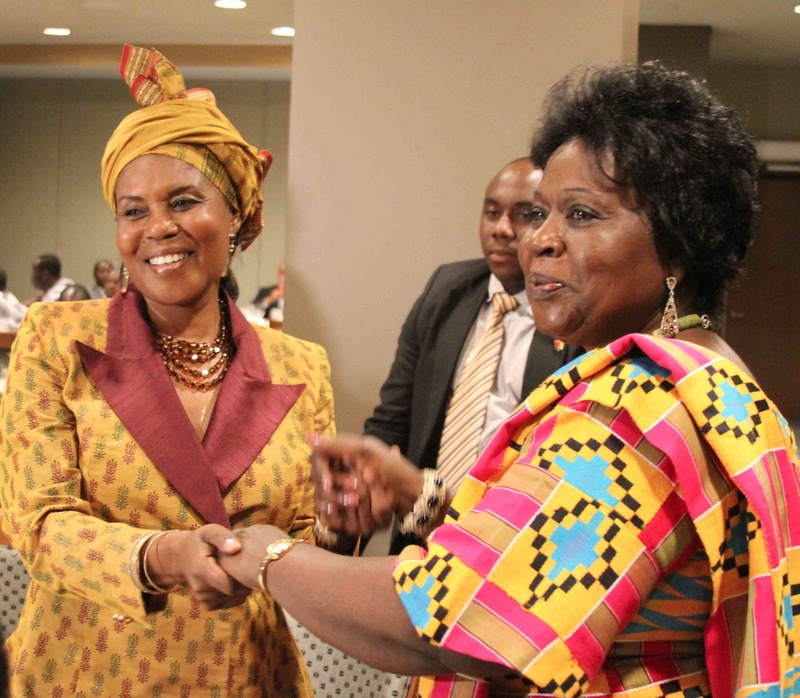 Mrs. Obiang will also become chairman of the board of Voice of African Mothers. The First Lady has led the efforts in her country to promote social development and has helped change societal attitudes toward women in Equatorial Guinea. In her remarks, the First Lady recounted the country’s efforts to integrate women into the economy and improving the standards of living for children and women. CANIGE promotes and assists with the education of adult women and adolescents. It manages the distribution of medicine and equipment for children’s health, educational and day-care centers. Mrs. Obiang joined other First Ladies of Africa and other women in senior leadership positions to honor the contributions and commitments of African women who are leading and serving the African continent. 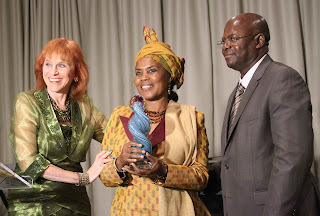 The honorees have selflessly dedicated themselves to improving the lives of women on the African continent. Together they showed their appreciation for the honorees at the awards gala. The First Lady called on bilateral partners to work with Equatorial Guinea and support the country in its efforts to achieve the millennium development goals. Equatorial Guinea’s government has adopted special programs for the promotion and protection of women and children. In addition to Mrs. Obiang, Denise Bucumi Nkurunzia, Burundi, Antoinette Sassou Nguesso, Republic of Congo-Brazzaville, Monique Kapuwa Kande, Democratic Republic of Congo, Mintou Doucoure Epse Traore, Mali, Dr. Malika Issoufou Mahamadou, Niger, Lisbeth Venetiaan-Vanenber, Suriname, Mama Salma Kikwete, Tanzania and Thankozani Khupe, Zimbabwe were also honored with the Millennium Development Goals 2013 Women’s Progress awards. The First Lady is the Honorary Chairwoman of CANIGE, member of the National Committee of the Fight against Aids, honorary Vice Chairman of the Association for National Solidarity for the Disabled (ASSONAM) and holds similar positions in associations throughout Africa, such as Mission for Peace of the First Ladies of Central Africa. She has participated in numerous international meetings on women’s rights. The Inter-American University of Humanistic Sciences of Buenos Aires granted the First Lady a Doctor Honoris Causa.